I have found my second family at the DC Metro Punjabi Arts Academy (DCMPAA) where I have been learning bhangra, a Pubjabi folk dance, for the past few years. Learning Indian classical, folk and modern dance from a young age and competing internationally with my academy, I have become extremely passionate not only about bhangra but also about my culture. I enjoy organizing charity events and socials through the South Asian Student Association at my school of which I am president. Realizing that each culture is just as important and unique as mine, I am an organizer of International Night at my school taking part in Salsa and Bollywood dances. I also love to debate on the Model UN team at my school at conferences. Lastly, I nurture my creative artistic abilities in classes such as architectural drawing and computer graphics. 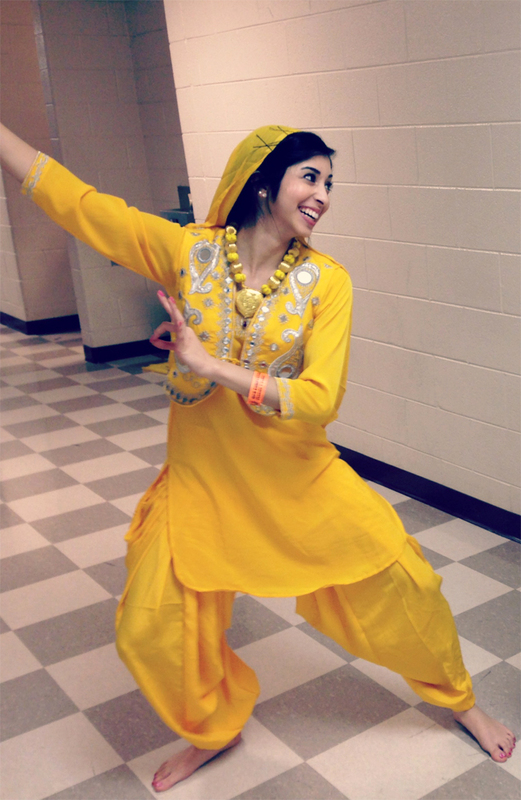 I am a rising senior at Langley High School and a bhangra dance teacher at the Mclean DC Metro Punjabi Arts Academy. I aspire to study in either the field of International relations or business. I would love to continue my charitable works throughout my life. I would like to participate in the Miss India DC pageant because I think it is a great way for people like myself to showcase their culture and talent. I think it would be an enjoyable experience to meet other contestants that share similar interests with me. Dedicated– When I set my mind on a goal, I stay focused on the small steps I need to take to achieve that goal. No matter what other activities surround me, I make sure to use my time wisely to work towards my objective. Cultured- My culture has taught me morals in life I will never forget. I value my culture greatly as it has molded me into the individual I am today. I’m not only passionate about my culture, but also the cultures of others. Enthusiastic- No matter what activity, I like to do everything with a smile on my face and with all my heart dedicated to it. I love to live life on the edge especially while travelling! I have been paragliding in Alaska, para sailing in Cancun, and jet skiing in Jamaica. I’m hoping to cross off sky diving from my bucket list sometime soon. My superpower would definitely be the power to heal. How incredible would it be to not only be able to cure small cuts and bruises but also have the ability to ease the pain and suffering of those with illnesses? Curing cancer, Alzheimer’s, and HIV would be the first step in making the world a better place. My practical answer to this question that is based on survival would be a fire source for warmth, a LifeStraw that purifies water for drinking, and perhaps a fishing pole (if only I knew how to fish… I’ll figure it out). My more comforting answer would be my older sister, who keeps me out of panic in tough situations, a Sudoku book, and my ipod. Many people have embarrassing moments from their childhood but mine was actually quite recent… making it ten times more embarrassing. At an Ivy League Model UN conference at UPenn this past year, I was called up to receive an award. I was super excited and also managing to walk in 5 inch heels. Halfway up to the podium I tripped and thankfully caught myself with a nearby chair but hearing the entire crowd of over 700 people gasp as I fell made me feel so embarrassed! One of my many inspirations is Nikkitasha Marwaha, a previous Miss India DC Pageant winner. She is someone who I idolize for her talent, love for our culture, and dedication. She promotes a positive and respected image of our culture and traditions. 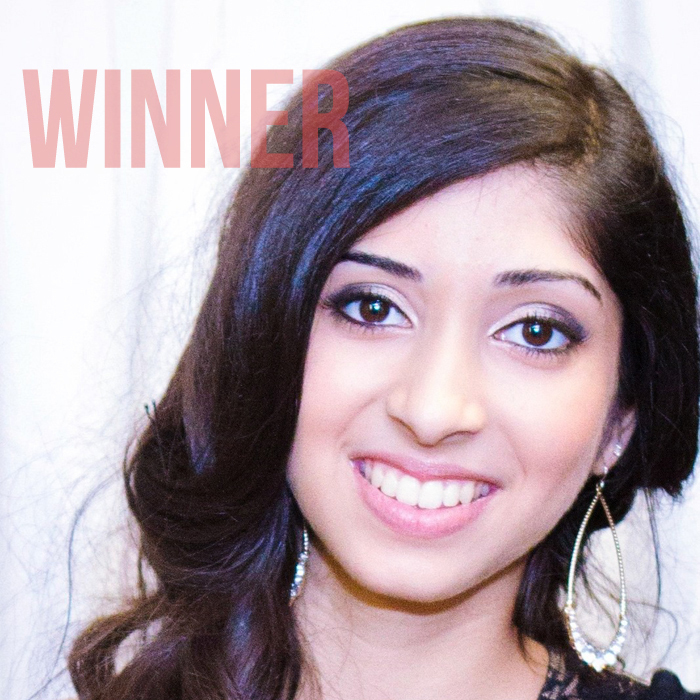 Also passionate about dance just like me, she has competed in a competition known as Dance India Dance. She is a great role model and is also gorgeous! My worst nightmare would be not making my parents proud of who I become in the future. They have worked extremely hard all their lives to provide for my sister and me and to disappoint them would be heartbreaking. I value their thoughts and opinions greatly because, as everyone knows, parents know exactly what is best for you. With all they have blessed me with in my life, I strive to make them proud and show them that their efforts have not gone in vain. I would spend my last day on earth with the people I love. It is a tradition that every few months my family and I do volunteer work together. And although this may sound cheesy, i would love to cook for and serve food at a homeless shelter with them. As many say these days, you only live once, so spend each moment in life doing what you love with people you love. If you don’t have something nice to say, don’t say it. It may sound simple, but it is our human nature to go against this. It is truly something everyone should live by and I aim to live by. We should always focus on people’s better qualities and think positively. I like to think that it’s better not to worry about the future and to live in the present. But in reality, I do often think about where I will end up after college. In ten years I would love to see myself happy, with a job in the field of business management and beginning to start a family. Also, I would like to be doing some volunteer work occasionally no matter how hectic my schedule is. Namaste and hello to all! I’m thrilled to be participating in the Miss India DC pageant this year and would love for you all to come to support my fellow contestants and me. It will be an incredibly entertaining show as we all showcase our talents and represent our culture.